I made this 5 years ago in Excel and it was pretty popular. 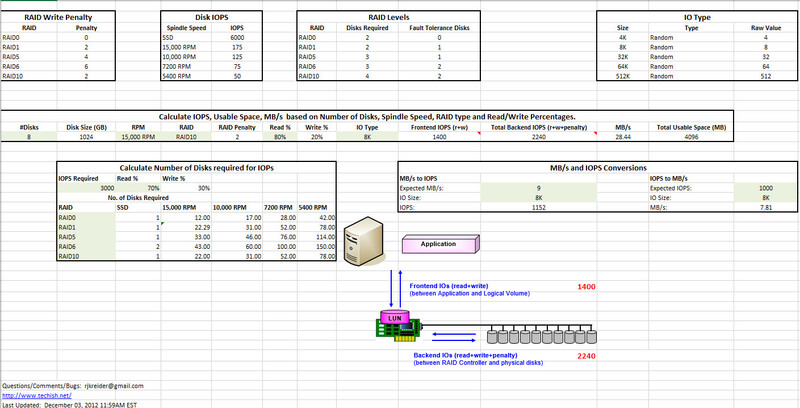 I think there are some errors in the math formulas that were pointed out for RAW calculations of backend IOPs. So use with caution, but mostly it should give a good enough idea on whatever it is you might be doing. If you make modifications, please drop me a line in the comments or get in touch with me. I’ll update my post to include fixes.